A work sheet to practise agreeing by using the structure So or Neither + aux. verb. Hope it´s useful. 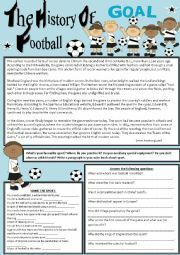 I found some information about the history of football online from a non esl source. Seeing as the olympics are around the corner I thought it might be nice to see the origins of the sport. The interpretation was invented. I hope it´s useful. 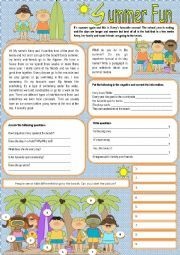 As holidays are around the corner for many young students, this is a worksheet I invented describing a typical summer daily routine. 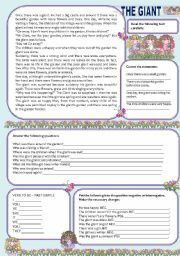 It focuses on the present simple positive, negative and interrogtive. it also has vocabulary for the beach. Hope it is useful. A reading in the present simple about christmas. It has interpretation of the text plus some vocabulary associated with Christmas. 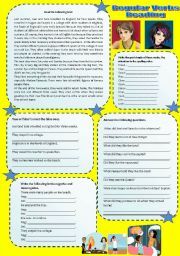 Students are also asked to produce a tect about their own christmas routines. Hope it is useful. 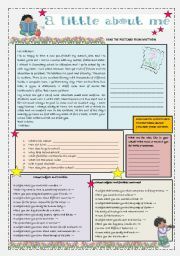 A worksheet that focuses on types of books and reading. It includes a short text about Roald Dahl with some exercises. An elementary reading exercise about a strange house (saw a report on the net so invented this!) 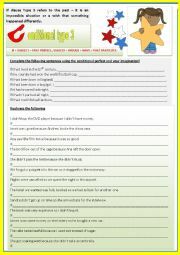 includes true/false, questions, writing and definitions for types of houses. A postcard about school life. Includes the modal verb must/mustn´t. Students also identify school subjects and facilities in a school and produce a postcard of their own. Hope it´s handy. Enjoy what´s left of the weekend! 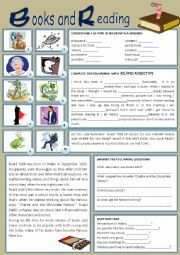 A small text in the past simple using the verb to be (was/were) followed by comprehension. 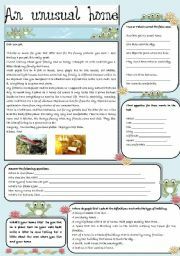 A worksheet I came up with to practise if clauses type 3. Thank you to Mena for her template and I hope this is useful.